Long before peaches came to mean—ahem—something else, they were Chinese symbols of longevity and prosperity. 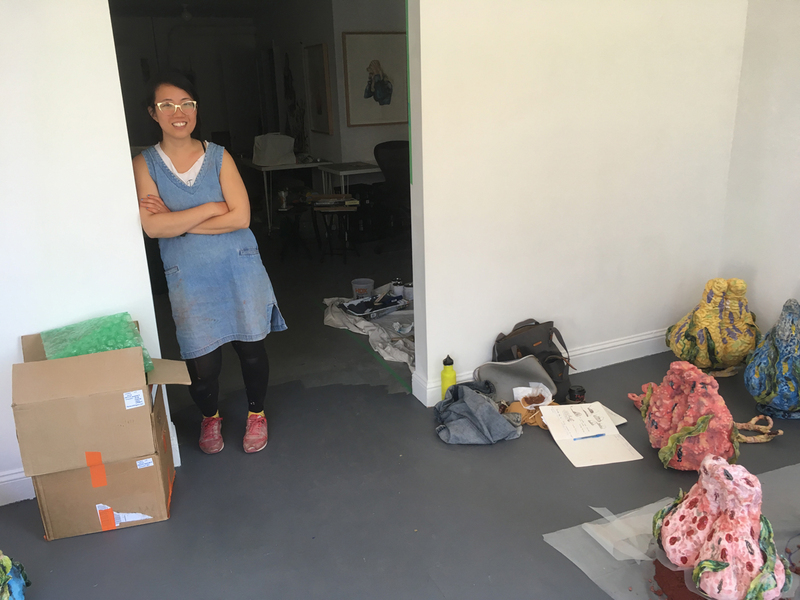 “I didn’t really know about it growing up,” says ceramics artist Cathy Lu of the peach's particular significance. She’s inside Irving Street Projects, where she’s currently an artist in residence, surrounded by a dozen oversized ceramic versions of the fruit. 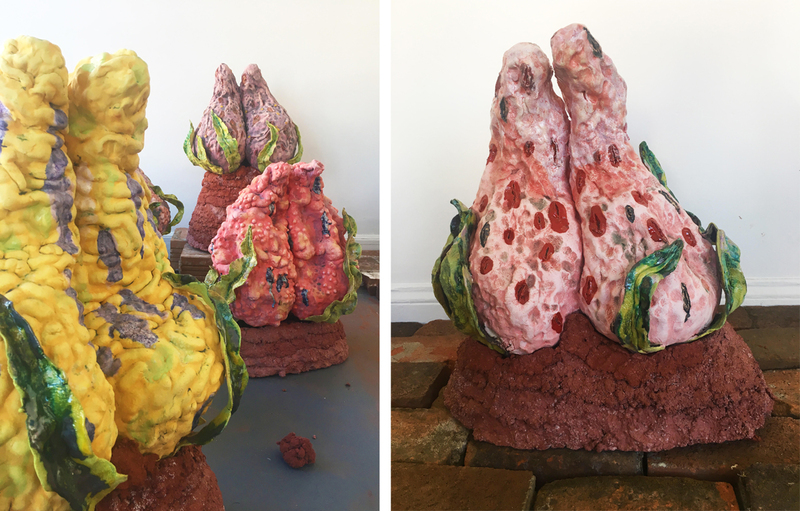 In the final installation, assembled for a closing reception at Irving Street Projects this Sunday, Sept. 30, 3–6pm, humidifiers hidden inside the peaches’ bulbous bodies will push steamy air through those holes. Lu’s peaches reject perfection in favor of weirdness. While the Heavenly Peach Garden of Chinese mythology and its biblical counterpart, the Garden of Eden, may be places of tranquility and escape, they’re also spaces preserved through rules, unquestioning ignorance and naiveté. And those principles, Lu says, aren’t always a good thing. She used this tactic within her own practice during a recent residency at Recology. Without clay (or a kiln), she found new ways to use centuries-old techniques on new, found materials, making coil-built vessels out of plastic tubing and electrical cables. 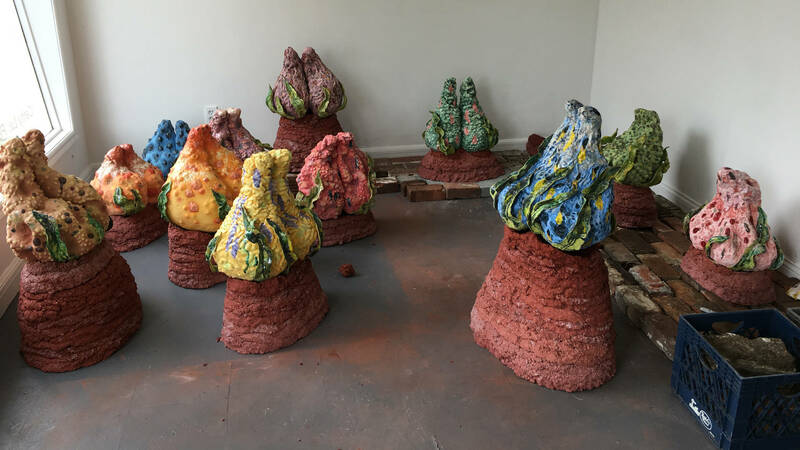 When she’s not limited by materials sourced from the dump, much of her practice involves casting fruits—delicately spiky jackfruits, bunches of bananas—in ceramic and arranging them based on traditional altar displays, supermarket presentations and shelving from China's Forbidden City. The entire “garden” at Irving Street Projects sits on bricks laid atop the residency’s concrete floor, an aesthetic reference to neighborhood altars and temples found in the streets of Taiwan. With Peach Garden, Lu’s peaches transform well beyond shelves of mainstream supermarket produce to become monstrous, almost alien forms. They don't look palatable, they look alluring and powerful, like wizened symbols of longevity and prosperity that refuse to sit demurely on your supermarket shelf. 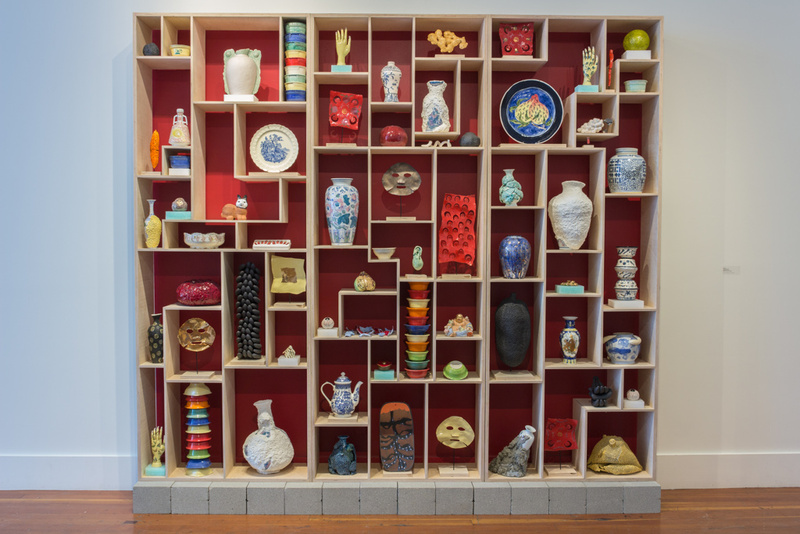 'Peach Garden' is on view at Irving Street Projects (4331 Iriving Street, San Francisco) through Oct. 6, 2018, with a closing reception on Sept. 30, 3-6pm. Details here.